Mouse anti Human GSTM3 antibody recognizes the Glutathione S-transferase Mu 3, also known as GST class-mu 3, S-(hydroxyalkyl)glutathione lyase M3, brain GST, brain type mu-glutathione S-transferase or glutathione S-alkyltransferase M3. Cytosolic and membrane-bound forms of glutathione S-transferase are encoded by two distinct supergene families. At present, eight distinct classes of the soluble cytoplasmic mammalian glutathione S-transferases have been identified: alpha, kappa, mu, omega, pi, sigma, theta and zeta. GSTM3 gene encodes a glutathione S-transferase that belongs to the mu class. The mu class of enzymes functions in the detoxification of electrophilic compounds, including carcinogens, therapeutic drugs, environmental toxins and products of oxidative stress, by conjugation with glutathione. The genes encoding the mu class of enzymes are organized in a gene cluster on chromosome 1p13.3 and are known to be highly polymorphic. These genetic variations can change an individual's susceptibility to carcinogens and toxins as well as affect the toxicity and efficacy of certain drugs. Mutations of this class mu gene have been linked with a slight increase in a number of cancers, likely due to exposure with environmental toxins. Alternative splicing results in multiple transcript variants (provided by RefSeq, Nov 2008). 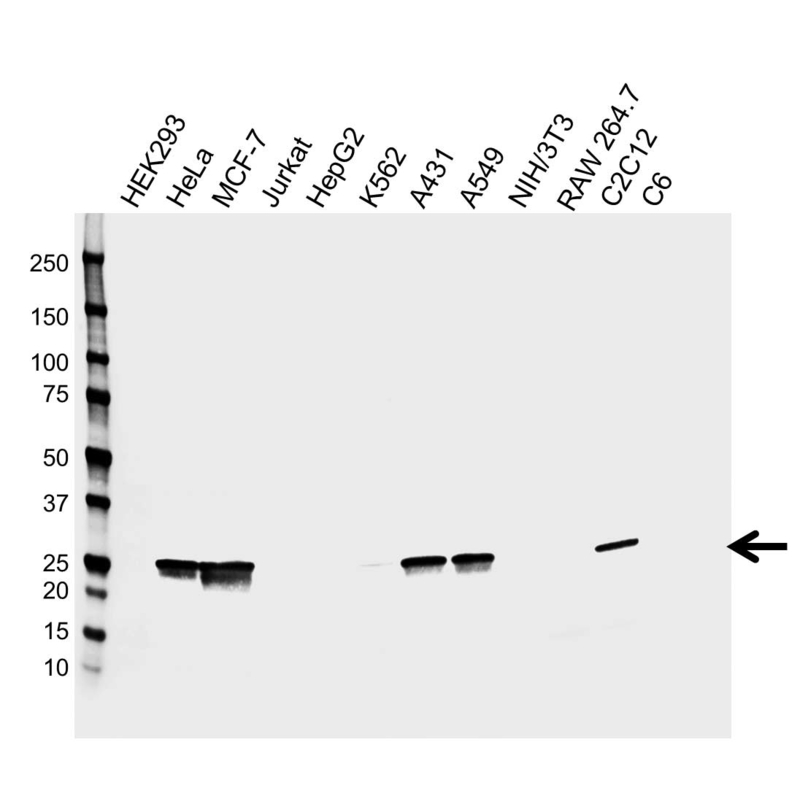 Mouse anti Human GSTM3 antibody detects a band of 26 kDa. The antibody has been extensively validated for western blotting using whole cell lysates.